People cancel car service requests for any number of reasons – change of plans, not ready in time, trying to sabotage the company. Wait, what? Officials with ride-sharing service Lyft allege that reps for rival company Uber attempted to hurt Lyft by requesting-and-canceling thousands of rides. Lyft claims that 177 Uber employees from around the country have booked and canceled 5,560 rides since October 2013 in an effort to steal away customers, CNN reports. 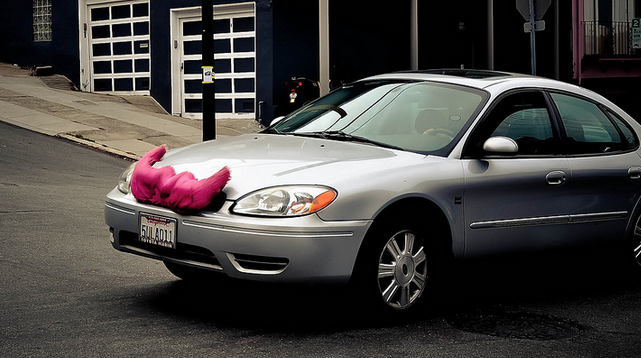 While the tactic might sounds like as a petty prank, officials with Lyft aren’t laughing. Each requested-and-canceled ride decreases the number of available drivers on the road, meaning longer wait times for customers – some of whom could look to other options such as Uber for a ride. Additionally, Lyft claimed the canceled rides could threaten the income of its drivers in the form of uncollected fares and wasted gas money used en route to the passengers. “It’s unfortunate for affected community members that they have used these tactics, as it wastes a driver’s time and impacts the next passenger waiting for that driver,” a Lyft spokesperson tells CNN. Lyft discovered the plethora of canceled rides after cross-referencing the phone numbers associated with known Uber recruiters with those listed on passenger accounts. In one case, a passenger identified by several Lyft drivers as an Uber recruiter was found to be tied to 22 accounts with a total of 1,524 canceled rides. Nearly 300 of those requests occurred during a two weeks span from May to June. Another alleged Uber recruiter created 14 accounts totaling 680 cancellations and a Los-Angeles based account canceled 49 rides from October to mid-April. Using the request-and-cancel tactic isn’t the only way Uber allegedly tries to hurt its competition. Lyft says a number of drivers have complained that rival employees take short, low-profit rides solely for the purpose of luring drivers to work for Uber. Although CNN reports none of the information provided in Lyft’s claims suggest that Uber’s corporate office had anything to do with the canceled rides, a statement from the company failed to fully address the allegations. Instead Uber officials focused on the alleged recruitment of drivers implying that some of the individuals identified by Lyft may have been average passengers looking to make a buck through a program in which Uber offered riders hundreds of dollars in credits for recruiting new drivers. If Uber drivers are indeed behind the request-and-cancel tactic, it wouldn’t be the first time. Earlier this year the company was accused of allegedly canceling requested rides on another competing service, Gett. In that case, CNN reported that Uber staffers in New York allegedly called and withdrew more than 100 ride requests in three days on the taxi app.